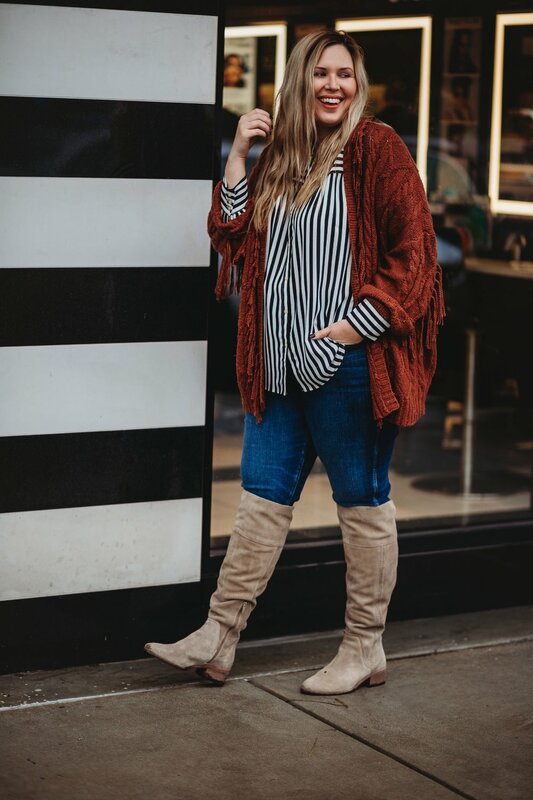 This fringe cardigan I’m wearing is on major sale for $23 right now. I am wearing the L/XL! Jeans are Madewell and still available and still on major sale. Wearing the size 34… like, squeezed into them. Would prefer a 35. 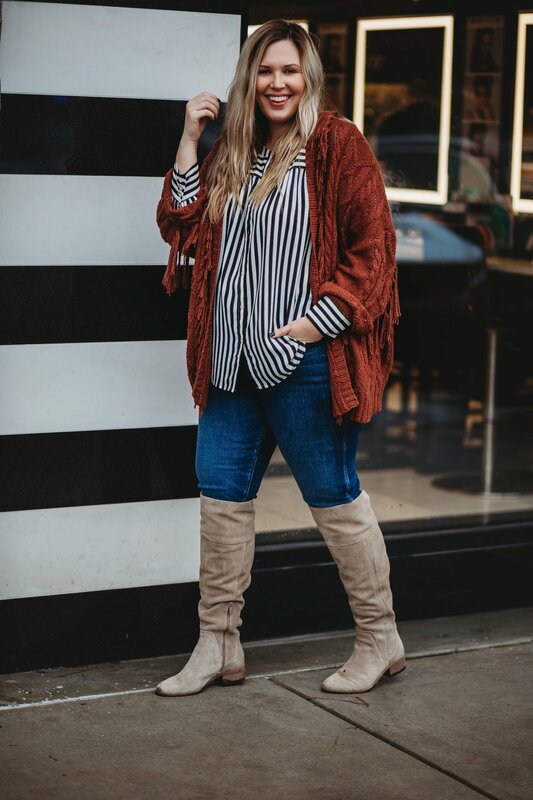 These boots are a classic favorite of mine and restocked and more than $100 off now! 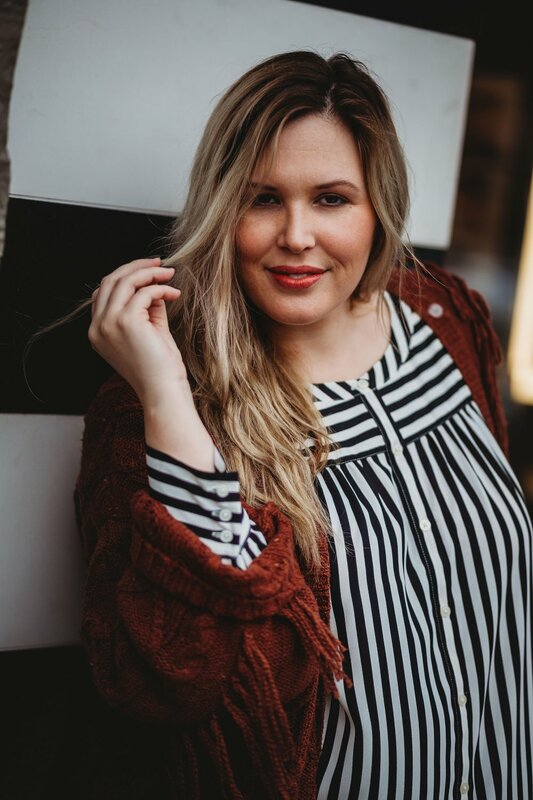 I love to layer and style my shirts and cardigans with a little sleeve pop - it’s my fave thing to do!